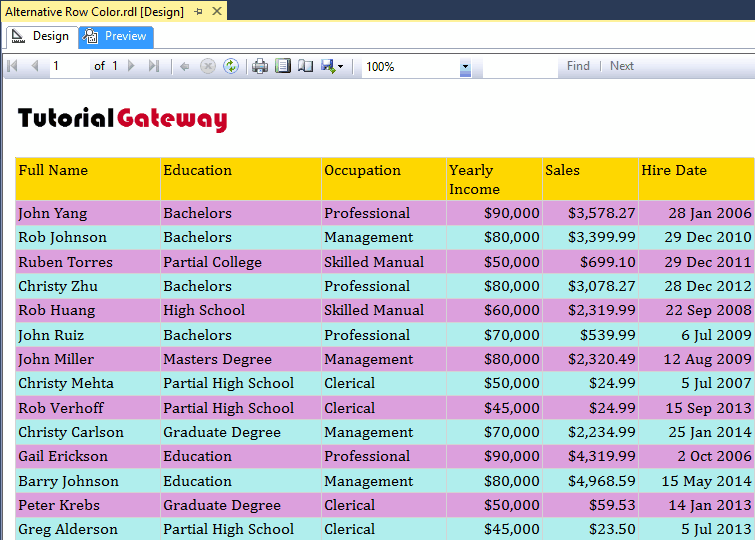 In this article, we will show you, How to add Alternative Row Color to SSRS Report. This is one of the Frequently asked questions by the users. 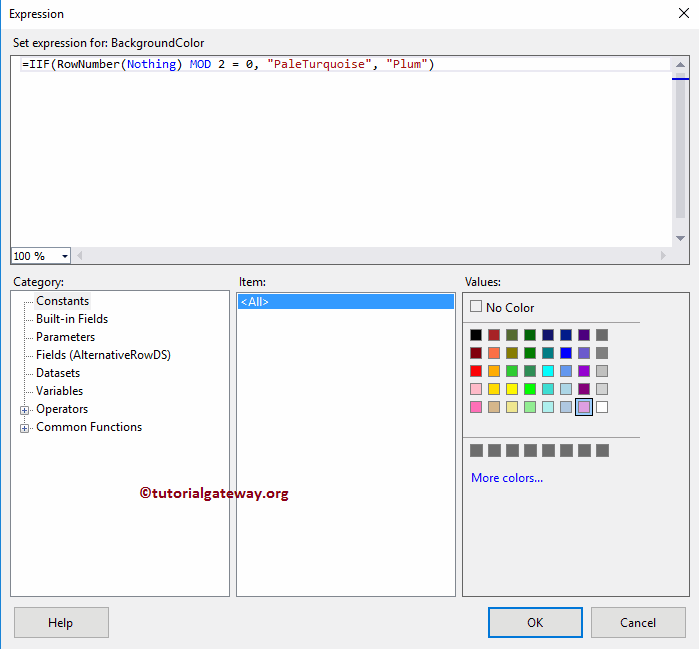 So, here we will show you the step by step approach to add Alternative Row Colors to SSRS Report using an Expression with an example. We are going to use below-shown DataSet to explain the same. Please refer to Embedded Data Source and Dataset articles to understand the steps involved in creating Embedded Data Source and Dataset that we used for this report. We are going to use the previously designed report as we shown below. 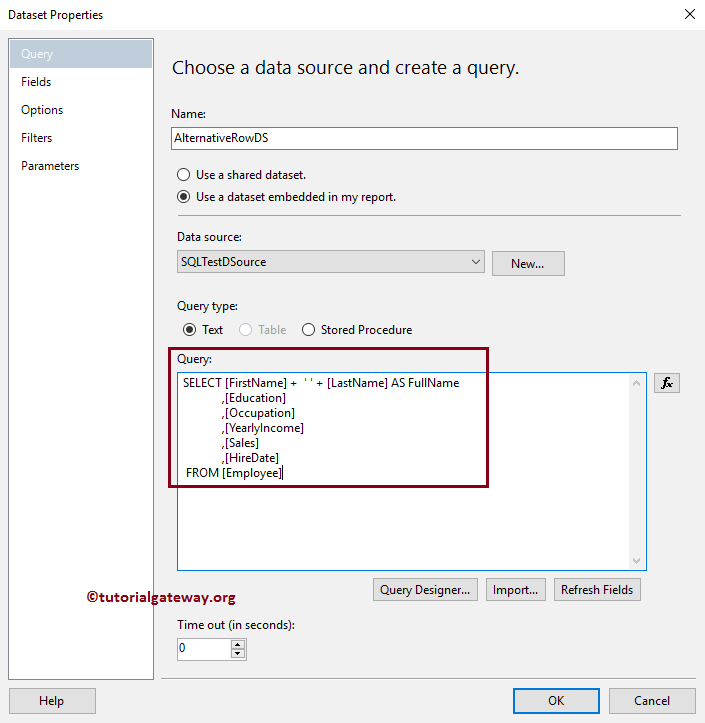 Please, SSRS Table Report, Format Table Report in SSRS article to understand the steps involved in creating Table Report & format, and Add headers and Footer to SSRS Report article for adding Page headers, and footers. When you select the details row, you have an option called Background color in the properties pane. 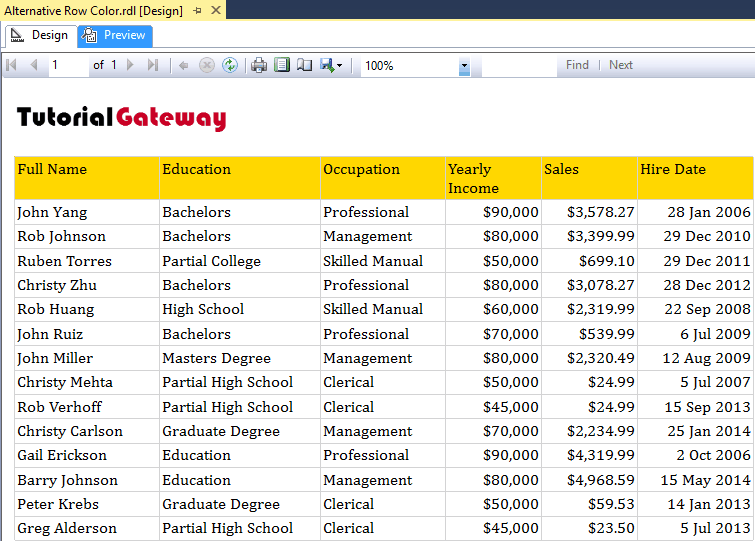 You can use all the predefined color, if you want to make the standard color for all the rows returned by the report. 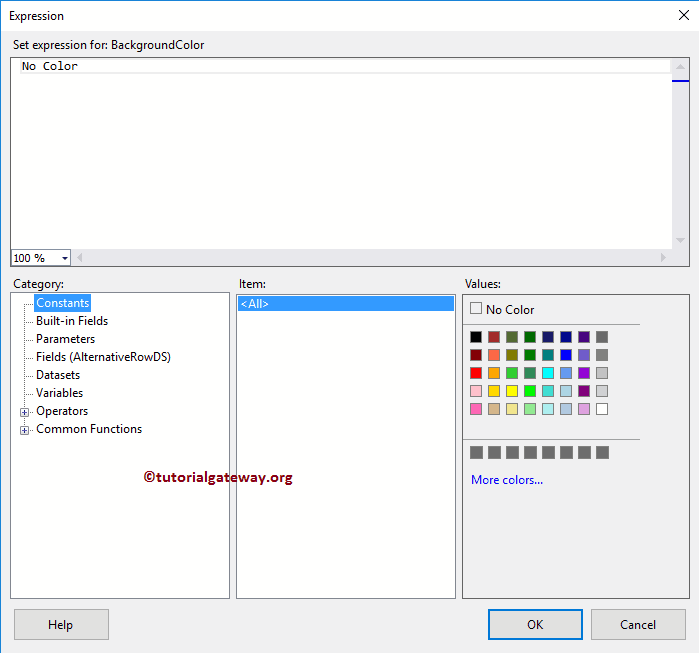 Here our task is to add alternative row color to SSRS Report, which means we have to use some condition to check for alternate rows. To do so, Please click on the Expression hyperlink under the Background Color property. Once you click on the Expression hyperlink, a new window called the Expression will be opened. Use this expression window to check for the alternate rows. 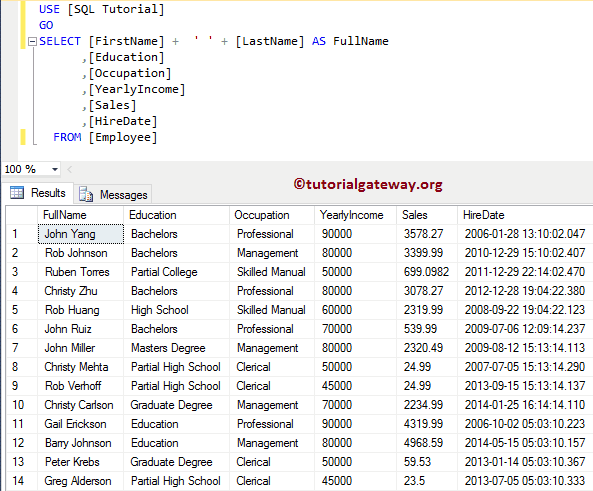 Within the Expression, we are going to use the IIF condition to check whether the row number is even or not. If it is even then Pale Turquoise, otherwise Plum.